I guess I immersed myself into the simulator a bit more, although even in the simulation environment the arm strains are not negligible and it reaches the actual driving conditions in a respectable degree. Regarding the cars, the Porsche seemed to suit this track better, having a small advantage over the others and the confirmation of this was handed by Nestoras Kiosoglou , who managed either to win or to achieve a podium finish in every race he competed. On the other hand, Andy Perrs and Dimitrios Houdeloudis, abiding by the BMW choice, showed that as the week was unfolding, they were becoming more and more comfortable, unraveling the virtues of the German newcomer. Unfortunately, bad luck and racing incidents deprived them of good results that their pace showed they were worthy of. 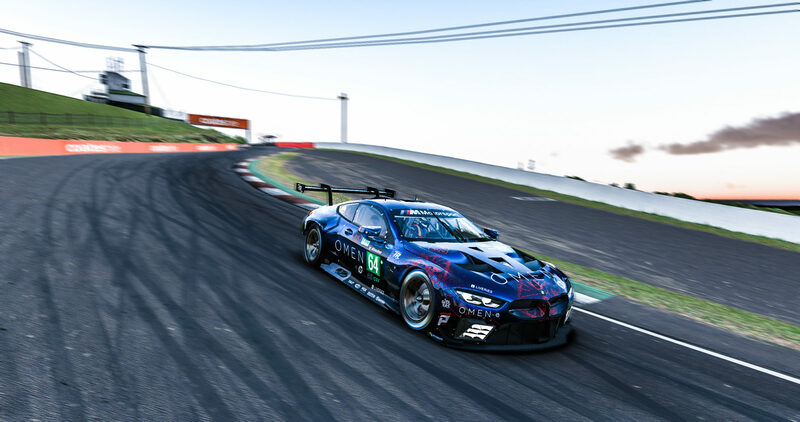 This week the team will attend Monza for the IMSA championship, whereas for the Le Mans Series we are heading to Suzuka for the usual 1-hour races. The three 6-hour race in the weekend will constitute the icing on the cake at Suzuka circuit, where the competition is expected to be fierce. Stay tuned. With the aid of our sponsors as always.